Is Lazy Lagoon the new Tilted Towers? 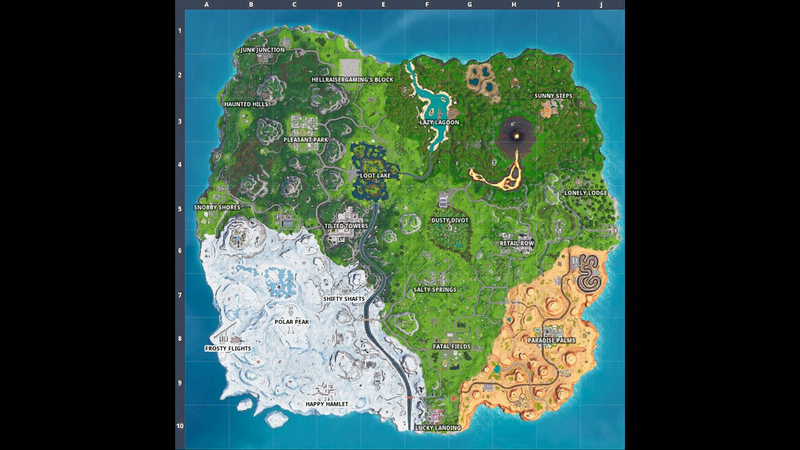 Fortnite’s map is no stranger to change, with its many locations altering or even disappearing altogether over the course of each season. And now, Fortnite Season 8 has begun, injecting some long-overdue change into the north-eastern quadrant of the Fortnite island. If you’re looking for a more general overview on Fortnite, look no further than our Fortnite guide; you can also find links to other areas of our Fortnite series, such as our complete list of Fortnite week 8 challenges, our Fortnite building and editing guide, and our Fortnite weapons page. There’s a dizzying array of different locations on the Fortnite map, ranging from named locations such as Lazy Lagoon or Pleasant Park to unnamed gems like the “Tracks” area above Paradise Palms. But in order to decide where to land in Fortnite, you need to know what you’re looking for. We’ll take you through the key criteria for deciding the best place to land in Fortnite, then go through lots of different areas across the map and see how they rank against one another. Lazy Lagoon is already set to be the most popular new location in Season 8. Characterful, packed with loot (and a good 10-12 chest locations on the pirate ship alone), and the main source of Season 8’s new Pirate Cannons, you can expect a great many players to drop here, at least in the first few weeks of the season. So far it seems your best chance of survival is to land on the ship itself and immediately drop below deck, where you’ll find loot enough for a good early game at least, after which you can make your escape using any of the ship’s ten thousand cannons. Sunny Steps is likely to receive much more attention than it perhaps deserves over the next few weeks, simply because it is new. In reality, it is a small space dominated by three pyramid buildings which each contain surprisingly little loot (at least in terms of chest locations). The ease with which you can use the roofs of these structures is its main selling point, but you’re unlikely to kit out more than a couple of players properly here over the course of a match. Tilted Towers is still by far the most popular and hotly contested location on the entire map. With a staggering 35 possible chest locations, each individual tower provides enough loot across its multiple floors to kit out multiple players at once. Particularly popular are the Castle Building (with the battlement-style roof), the Clock Tower, and the large rectangular Brick House in the town’s centre.